Junior Infants have settled in well to their second term in St.Brigid's. They are continuing their hard work with their phonics and have started using their shared readers too. 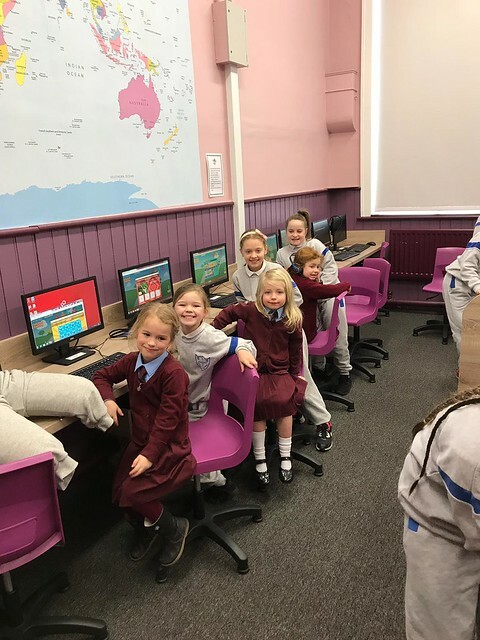 Junior Infants have enjoyed the theme of 'the Supermarket' in Aistear, learning about Biodiversity, exploring our new bird houses and feeders, using the computer room and having their grandparents visit their classrooms during Catholic Schools Week. It is great to see the girls continuing with their health lunches too after Food Dudes. The girls are looking forward to learning lots of more new things after midterm break!